“Acibadem Sistina” was awarded the Gold Seal of Approval for quality and safety as a result of compliance of the working processes with internationally recognized standards. The Gold Seal of Approval is a testament that quality is a result of the commitment of the hospital in providing safe and efficient services to its patients. JCI accreditation guarantees that every patient of Acibadem Sistina receives safe and highest quality healthcare services. “Acibadem Sistina” is the first hospital in the country and the region to be awarded the prestigious accreditation by Joint Commission International (JCI). This accreditation also means that the Republic of Macedonia is part of the world map of more than 100 countries worldwide, with hospitals accredited by JCI. The JCI accreditation awarded to Acibadem Sistina is changing the healthcare system in the country and proves that Macedonia can follow international standards. The end goal is high quality healthcare services and greater patient safety. 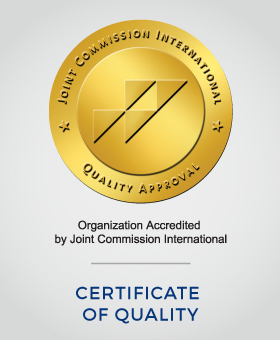 Joint Commission International is the most eminent hospital accreditation worldwide, due to the strict standards that are focused on areas that directly affect patient care and treatment. The JCI Accreditation Program covers the entire process from patient admissiontothe hospital, following his/her treatment, up to the hospital discharge. In a word, the JCI standards are a step towards excellence in patient care. The end result is a reliable and safe healthcare. Joint Commission International (JCI) is an independent, nonprofit, non-governmental agency based in Chicago, Illinois (USA). Joint Commission International aims to improve the quality and safety of medical services to healthcare organizations through education and accreditation. Joint Commission has been evaluating the conditions of the healthcare institutions in the USA for more than 55 years, who have voluntarily joined the accreditation process. 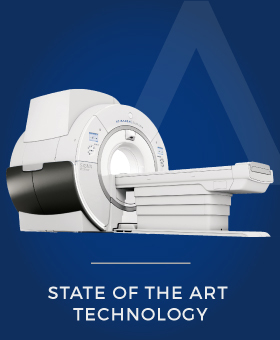 Joint Commission has accredited nearly 20,000 healthcare organizations in the USA, including hospitals, clinics and other healthcare institutions. Starting from 1997, Joint Commission has extended the mission worldwide by forming the Joint Commision International. JCI helps in improving the quality of healthcare services in many countries through international accreditations, consultations, publications and educations. So far, JCI has accredited public and private healthcare institutions in more than 100 countries. Why is this accreditation required? According to the latest global research and statistics, one of the leading causes of death in the world, in addition to malignant and cardiovascular diseases, are medical errors. This includes wrongly applied therapy, wrong patient identification, healthcare associated infections,unexpected treatment development, unexpected fall risk in hospital conditions and many moreunexpected life-threatening errors that are part of the daily operations in a healthcare institution. JCI standards are aimed at eliminating such errors. The standards application guarantees patient safety and high quality of care through clearly defined processes, activities and programs. The standards provide an accurate direction for managing of all hospital processes in order to enablea highly professional service, prediction of all risks, information to the patient during the treatment process… All in all, a JCI accredited hospital corresponds to a hospital that hasimplemented the International Patient Safety Goals. Acibadem Sistina Hospital was awarded an Accreditation Certificate by the State Agency for Quality and Accreditation of Healthcare Institutions. 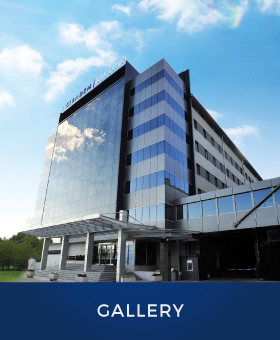 Thus, Acibadem Sistina is the first private healthcare institution in the Republic of Macedonia which obtained this prestigious certification, that ensures quality and safe service to patients. The regular annual expert review of the Diagnostic Laboratories for maintaining accreditation according to the medical laboratories standard MKC EN ISO15189: 2013 was successful, without any identified non-conformity. As a result, the assessment team proposed continuation of the Diagnostic Laboratories’ accreditation. The standard MKC EN ISO 15189: 2013 ensures continuous quality control of the medical laboratories. This accreditation is proof that the results and findings issued by our laboratories are prepared according to internationally recognized standards and meet the highest quality criteria. With the implementation of this standard, the Diagnostic Laboratories’ results and findings are recognized both in our country and in every country in the world. Acibadem Sistina’s Diagnostic Laboratories are the first and only in the country, with simultaneously accredited histopathological, microbiological and biochemical methods.